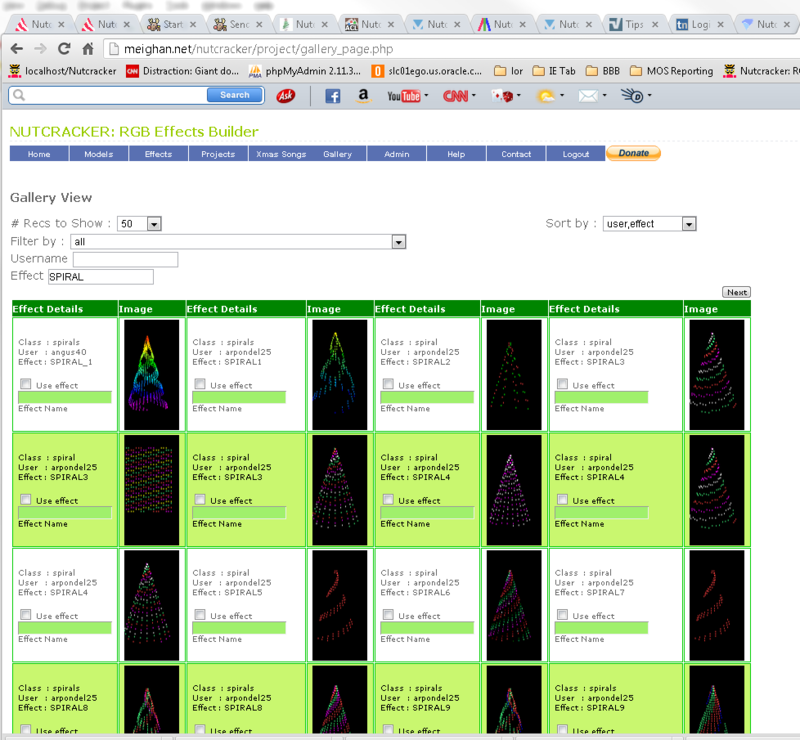 Kurt Gustafson (Our second programmer on the Nutcracker team), released some new filters on the Gallery. So if you put SPIRAL into effect name , you will see every user who started his effect name with SPIRAL. You can just filter by username. My username is 'f'.